Discover everything there is to know about LEGO® DC Super Heroes and Super-Villains in this new must-have guide from DK. Ever wondered where Superman™ got his powers from, how The Flash™ become so speedy, or why Batman™ has so many cool vehicles? 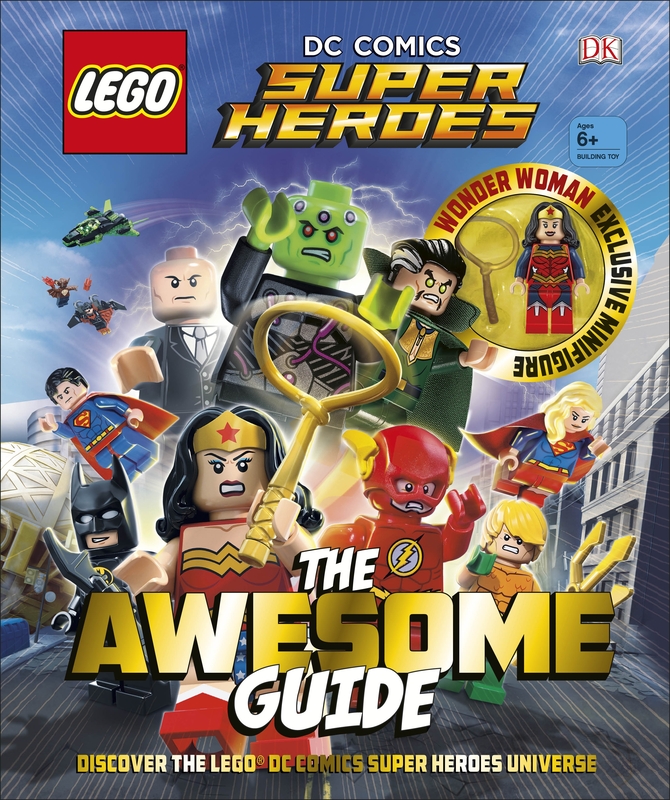 LEGO DC Comics Super Heroes: The Awesome Guide answers all of these questions and more as it goes behind the scenes and delves into the world of your favourite LEGO DC characters. Beginning with the story of the World’s Greatest DC Super Heroes, young fans can find out how Superman, Batman, Wonder Woman and co. lead the way in the fight against evil – they can also take a quiz to find out who their alter ego would be if they lived in the same world. Young readers can meet all the DC Super Heroes and discover everything there is to know about their friends and allies, their wonderful weapons, secret hideaways, costumes and armour plus much more. Once fans are acquainted with the good guys, they can learn about the DC Super-Villains. From Bane to Poison Ivy, find out who the top four Justice League archenemies are, the secrets of Arkham Asylum, the wicked warsuits and armour and their villainous vehicles. 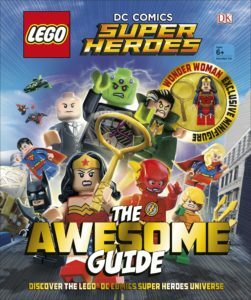 The LEGO DC Comics Super Heroes: The Awesome Guide is perfect book for anyone who wants to know everything there is to know about this fascinating universe! To be in with a chance of winning, just enter via our competition app below! The competition ends at 23:59 on 16 May 2017. The prize consists of a LEGO DC Comics Super Heroes: The Awesome Guide book. One comment for "Win LEGO DC Comics Super Heroes: The Awesome Guide"
Kind Regards and wishes of continuous Success, master team Flicks And The City!